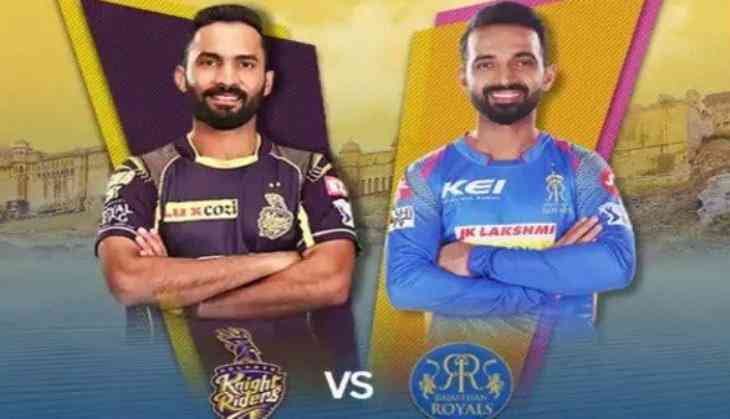 Rajasthan Royals won the toss and opt to field first in the eleminator match between Kolkata Knight Riders and Rajasthan Royals at Eden Gardens. The pressure is on the both side. Ultimately fans are going to enjoy the crux of the game. Dinesh Karthik led Kolkata Knight Riders are ready to host Rahane led Rajasthan Royals at Eden Gardens in the IPL Eliminator 2018. Kolkata Knight Riders has been best team so far in the IPL tournament. Each and every player of star studded team contributed equally to move little head to cease the IPL trophy in their Cabinet. Dinesh Karthik is on the most advantage side because of their crucial do-or-die encounter at their home Ground.The team and skipper has been in brilliant form. KKR has managed to file three back to back victories. Fans and others are hoping across the globe that Karthik continue his consistent performance against Rajasthan Royals. Rajasthan Royals (Playing XI): Rahul Tripathi, Ajinkya Rahane(c), Sanju Samson, Heinrich Klaasen(w), Krishnappa Gowtham, Stuart Binny, Jofra Archer, Ish Sodhi, Jaydev Unadkat, Shreyas Gopal, Ben Laughlin.